Detroit January 22, 2019; Just inside a white picket fence on the edge of the Subaru of America exhibit, families rolled around the floor, scratched ears and took lots of licks from adoptable dogs from the Michigan Humane Society. 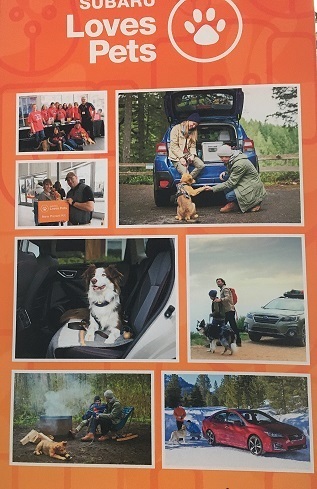 “While you’re looking at all the beautiful cars on display, stop by the Subaru booth and adopt your new road trip companion,” read the invitation from the Detroit office of the Michigan Humane Society. They had four tail wagers and a throng of people on the first Sunday of the show. The nonprofit expected to bring dogs to Cobo Center from the 19th to the 27th, with up to 800,000 attendees eyeing their booth. Thirty-second ads feature the Barkleys in scenarios not unlike those Subaru drivers encounter, the car wash when small dogs make a mess out of washing a Subaru Ascent, one where the dog parents drop their pup off at school, a driving lesson crashed by an eager squirrel and a dad and teen situation. One segment even shows how dogs were trained to appear as driving the vehicles. 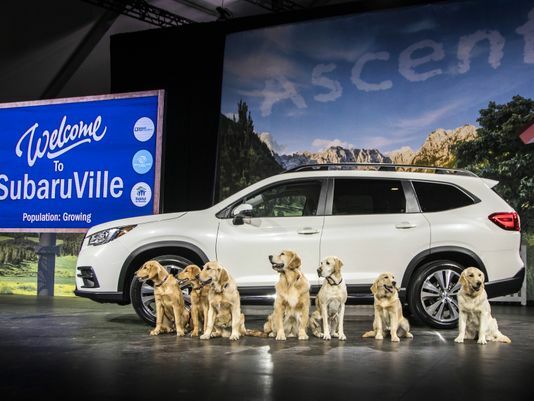 Paws for an adoptable cause plays directly into the philanthropic arm of Subaru. The company and its 620 dealers have donated more than $120 million to dog rescues and other causes. Employees have logged more than 40,000 volunteer hours, according to its release. The mutts at the auto show would bark in approval. It’s the right thing to do.